There were various reports out of Mosul. First, an IED in the northwest left three dead and four wounded. There are thousands of unexploded bombs left in the city, which pose a serious threat to people returning right now to the western section. Second, three Islamic State elements were killed trying to cross the Tigris River from west to east Mosul. There are still insurgents said to be hiding in the Old City in the west. They are still being flushed out or attempting to escape. Third, 16 municipal workers were arrested in Mosul for cooperating with IS. The security forces and National Intelligence Agency are hunting down insurgents in the city, and apparently are now focusing upon collaborators as well. Last, 23 people were pulled out of the rubble of the Old City. Finding survivors three weeks after the city was liberated was pretty amazing. With the Mosul battle over the Iraqi forces (ISF) are preparing to attack Tal Afar in western Ninewa. 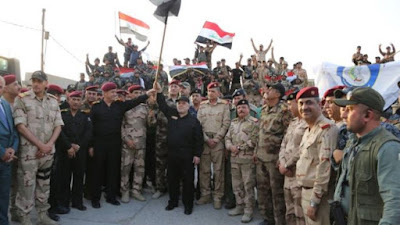 Prime Minister Haidar al-Abadi has talked about the upcoming operation almost every day now. The army, police, Hashd and tribal Hashd will all be involved. The ISF are staging in Badush. 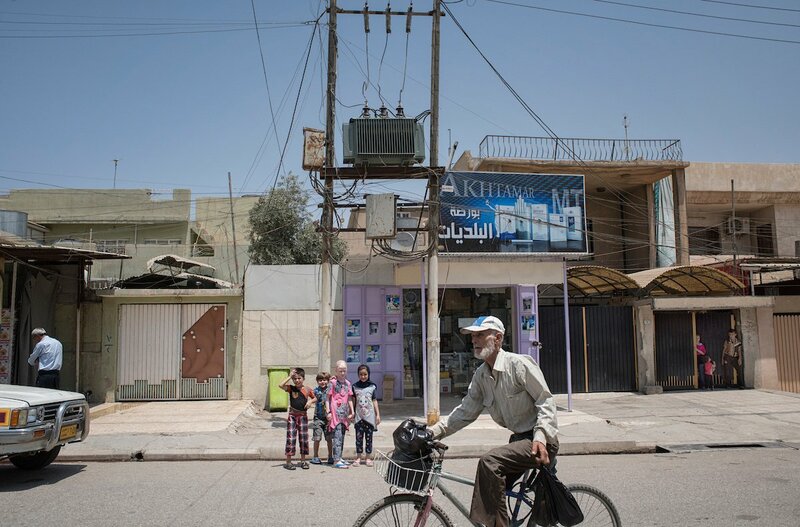 The Islamic State launched two suicide bombers at that town, which were killed. That might have been a pre-emptive assault by the insurgents. Tal Afar is likely to follow the same plan as Mosul, meaning that the Hashd will have perimeter duties, while the army and police will enter the town. There has been some talk of having the Al Abbas Division being allowed to go into the village as well. It is loyal to Najaf and Ayatollah Ali al-Sistani, and has worked closely with the army and police before. Reports of the Islamic State carrying out attacks in Mosul are getting rarer. On July 28, an insurgent was killed attempting to throw a grenade at a patrol by the Iraqi forces. There might be more security incidents occurring, but there is still a media blackout in much of west Mosul, which is stopping them from being reported. There are still Islamic State elements in west Mosul, while securing the city remains a problem. Al Mada talked with tribal Hashd units that said militants were hiding in tunnels underneath west Mosul, and attempting to cross the Tigris River to get from the west to the eastern side of the city. Sections of west Mosul were still considered too dangerous to do any repair work or allow any families to return. West Mosul also leads to rural areas of Ninewa where there is the threat of infiltration by IS. Protecting the city against attacks are over a dozen tribal Hashd units, police, army, and the National Intelligence Agency. Some of the Hashd have been pulled out and sent to other parts of the city without warning. The different security forces also do not cooperate with each other, and there are too many of them. A Hashd commander complained to Al Mada that the security situation in the city was chaotic. A Ninewa councilman blamed the governor for the lack of coordination. Ninewa politicians would like to solve this problem by having dismissed police returned to duty, but Baghdad has done nothing on this issue forcing the city and province to rely on a hodgepodge of security forces instead. Several dead bodies showed up in West Mosul, but they were all Islamic State members. Three corpses were discovered shot in the head and handcuffed under one of the destroyed bridges across the Tigris River. There have been reports of other corpses turning up, blindfolded, showing signs of torture, and execution. An army major told Middle East Eye that an order had gone out to kill any IS elements they found in the city. Stories of these extra judicial killings have been going on for several days now. There are still arrests going on however, so the major’s story has to be taken with a grain of salt. No fighting has been reported in Mosul for the last few days but the Islamic State’s cells are still active. A car bomb went off in the western neighborhood of Bab al-Sinjar that left four dead and three wounded. These types of terrorist attacks will be the security challenge in the city for the coming weeks and months as IS attempts to scare the public and show that it is still active. The Iraqi forces (ISF) continued clearing operations in west Mosul. First, several IS members were arrested in Tanak, Tamuz 17, and Islah Zirahi. The ISF have put up posters and started a public campaign to get people to report any IS suspects they see inside the city. Second, the army’s 16th Division, which is in control of sections of east Mosul is supposed to be take charge of the east in 72 hours. 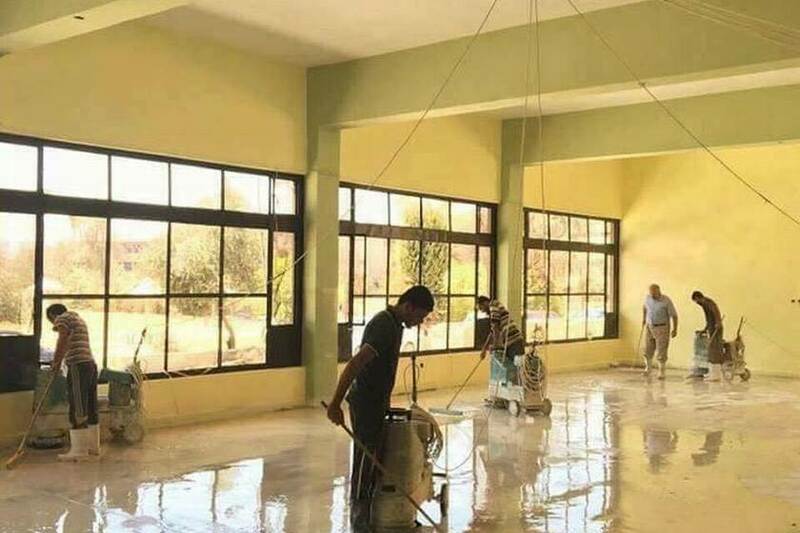 Third, the Iraqi authorities claimed in two weeks they will have explosives removed and started work on infrastructure and services so that large numbers of people can start returning to the west. They must mean just from main thoroughfares, because other reports have said it would take months if not years to clean up all the unexploded ordinance. Finally, a soldier was wounded by an IS sniper. Fighting may finally be over inside the city. There are only scattered reports of gunfire, and an occasional suicide bomber. Then again, there is still a ban on reporting in the western half unless on a presser with the ISF, so it’s impossible to be sure. If so, that leaves the Iraqi forces to the long and arduous tasks of hunting down IS members, and getting rid of leftover bombs. Civil Defense teams are still recovering bodies from the rubble in west Mosul. A family of eight was discovered in a basement after their house collapsed on top of them two weeks before. A girl was found after she got trapped looking for her family. Two other families were uncovered in their destroyed homes. 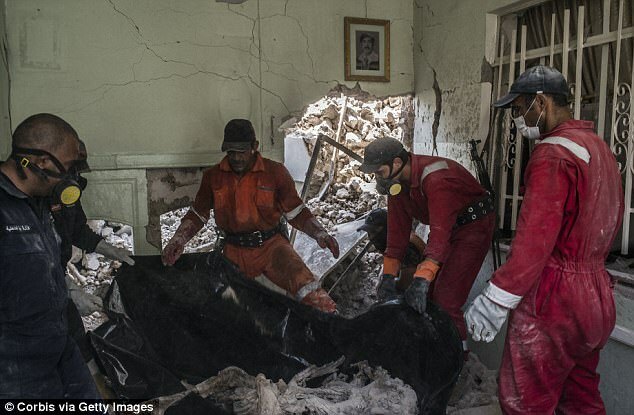 The Mosul Morgue is still receiving 30-40 corpses a day. This will be a long and arduous operation as so much of west Mosul was damaged in the fighting. An unknown amount of people died in the process, and they have yet to be dug out. News out of Mosul was limited again because of the media blackout enforced by the Iraqi Security Forces (ISF). Yesterday, General Haidar Ali al-Shemari from the Golden Division told the press that around 250 families were still trapped in the Old City, afraid to flee because of Islamic State gunfire. Soon after that story was published the Joint Operations Command (JOC) denied it. The JOC was supposed to be in control of all press statements, but has never been able to enforce that rule. The general’s statement contradicted the government’s narrative that Mosul is freed, and only mopping up operations are going on, which as the reason why the JOC claimed it was fake news. July 20, the Iraqi Security Forces (ISF) admitted that fighting continued in the Old City of West Mosul. First, U.S. led Coalition spokesman Colonel Ryan Dillon told Rudaw that there were no reported clashes going on inside Mosul anymore. However, according General Haidar Ali al-Shemari of the Golden Division there were occasional gunfights occurring in the Old City. Those were happening in Qalahat and Shahwan along the Tigris River. Yesterday, a suicide bomber hit a police unit in the former killing three and wounding two. 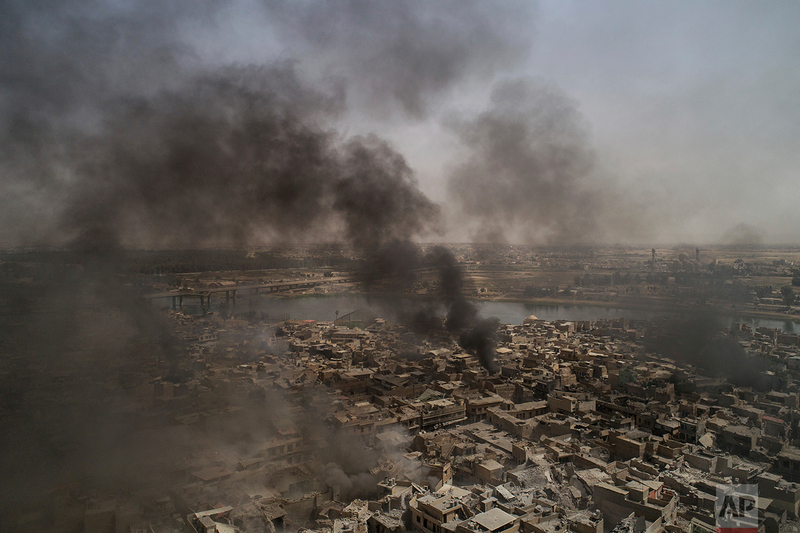 Two more bombers were killed in Yarmouk, which is in the western side of west Mosul showing that there are cells or infiltration going on across the city. Reportedly roughly 1,000 people are still trapped in the district, and can’t escape due to insurgent gunfire. The ISF has banned media from west Mosul so coverage of the on-going combat is getting more and more sporadic. General Shemari’s comments contradict the regular line heard by the government that only mopping up operations are taking place in the city. The Iraqi Security Forces (ISF) have banned almost all reporters from west Mosul, so there was only one story from the city. A crew from France 24 travelled with a Golden Division unit to the Tanak neighborhood on the western edge of Mosul to look for Islamic State elements. An officer went house to house interviewing families for tips on insurgents. Two young boys were taken in as a result. In most of the city these are the type of clearing operations that the ISF is doing. That’s also the reason why the Golden Division allowed this story, because it goes along with the narrative that Mosul is now safe and secure. It’s unknown whether there is still fighting going on in the Old City district because of the media blackout. The Iraqi forces (ISF) in part are still trying to deny that serious fighting is going on in the Old City in West Mosul. 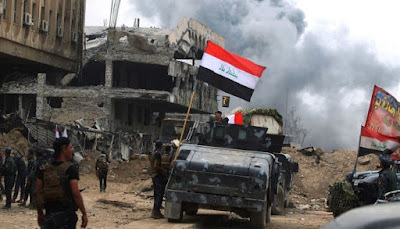 The chief of the Rapid Reaction Division for example, General Thamir al-Husseini told the press that his units were just clearing the district, and there was no fighting going on. Ninewa Operations Command head General Abdul Amir Rashid Yarallah on the other hand, let it be known that the Islamic State carried out surprise attacks in Shahwan and Qalahat. The fighters came out of basements and tunnels they were hiding in. Those are two neighborhoods along the Tigris River where combat continues. In the rest of Mosul, the ISF are just mopping up, arresting IS elements, and occasionally killing some attempting to escape. In Shahwan and Qahalat however serious combat is still going on. Heavy clashes continued in the Old City of west Mosul, but with little to no coverage within Iraq. 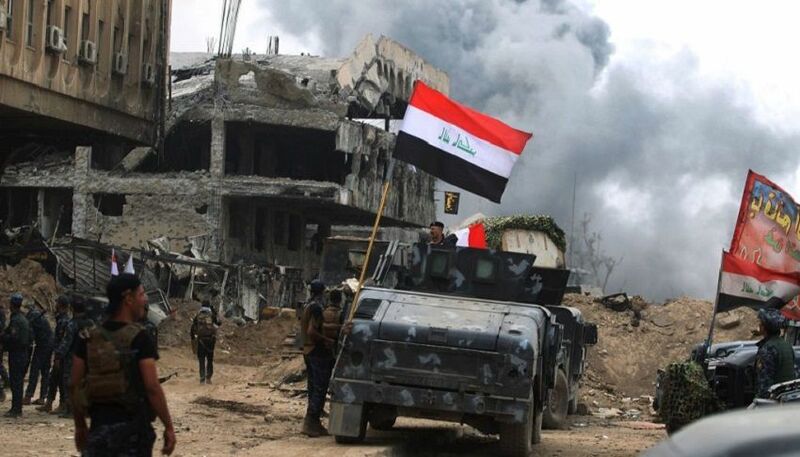 The Golden Division’s General Abdul Wahab al-Saadi repeated the government’s story that the Iraqi forces (ISF) were simply hunting down sleeper cells in the district. The Iraq News Center however reported heavy fighting was going on in Qalahat and Shahwan, which are two neighborhoods along the Tigris River. The Islamic State fighters are hiding in basements and tunnels in the Old City. In one of those twenty IS women were captured with different nationalities. Five of them were suicide bombers. The continued combat in the city is barely being mentioned in the Iraqi media. Instead most of Iraq is just hearing of arrests and occasional shootings of insurgents trying to escape. That’s due to two issues. First, the ISF has barred reporters from west Mosul. Second, almost all Iraqi media outlets just repeat government statements and do not do original reporting. Heavy fighting returned to the Old City district of west Mosul. A source from the Iraqi forces (ISF) told the media that there were intense clashes going on with pockets of Islamic State in the district. Iraqi helicopters were again seen flying overhead and explosions were heard. IS also fired mortars into an eastern neighborhood. July 13 things appeared to have calmed down and the security forces were finally just mopping up. It seems that these confrontations will flare up off and on for the next few days in the Old City as the ISF hunt down the last IS elements. 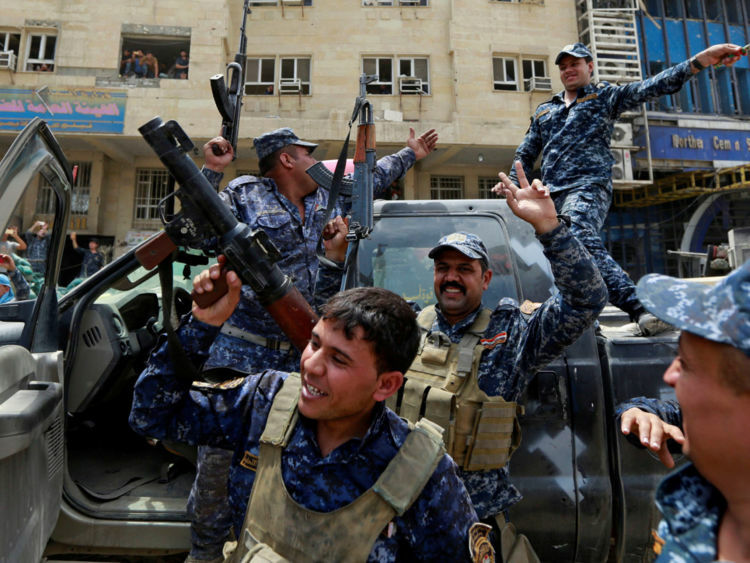 The third day after Mosul was declared liberated major fighting was finally coming to an end. There were some scattered clashes going on in the Old City, which wounded 2 soldiers, but didn’t seem as serious as previous days. Otherwise, the Iraqi forces (ISF) freed a Yazidi family that had been held hostage by the Islamic State in the Old City’s Maidan neighborhood. Four IS members were killed trying to escape across the Tigris River. On the other hand, IS cells were still operating in other parts of the city. A suicide bomber was shot in a market in the west. Five suicide bombers infiltrated into Tanak in the western edge of west Mosul when they got caught by security. They hold up in a house where one set off his device, while the others died. Four ISF lost their lives during the confrontation. Finally, mortars were fired at a power station in the east killing three and injuring two. In the previous two days there were air and helicopter strikes, mortar fire, etc. By July 13 things finally seemed to turn towards mopping up operations. Cleaning up the sleeper cells however will likely take quite some time as they are still operating in the east, which was freed six months ago. The second day after Mosul was declared liberated there was still fighting going on inside the city. Gunfire could be heard, helicopters were attacking positions, and smoke was rising over the Old City district. The day before the U.S. led Coalition carried out three air strikes. The Iraqi forces (ISF) again claimed they were just mopping up IS elements, but it appeared to be a bit more than that. As the Islamic State has done since the start of the battle, they were firing and maneuvering. U.S. General Stephen Townsend admitted that there were pockets of IS men left in the city. Ayatollah Mohammed Sadiq al-Sadr is a revered figure in Iraq today in part because of his assassination in 1999, which was blamed on Saddam’s government. When he was alive it was a different story. He was a polarizing figure because of his relationship with the government and the other ayatollahs in Najaf and Qom, Iran. 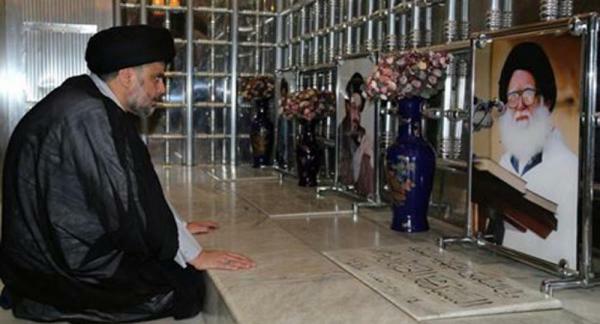 To help explain Sadr’s ideas and legacy is University of Haifa’s Professor Amatzia Baram. The last areas held by the Islamic State in west Mosul were finally cleared, allowing Iraq’s Prime Minister Haidar Abadi to declare victory in the nine-month long campaign. At the start of the day, there were still a few IS elements in the Shahwan and Qalahat neighborhoods along the Tigris River. Three soldiers from the Golden Division were killed in the fighting. 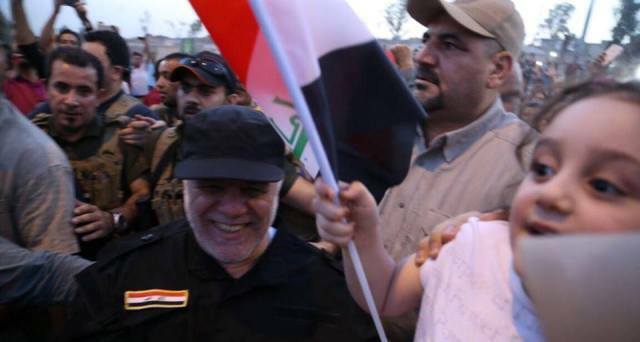 That initially held up the premier’s speech, but by the middle of the day Abadi appeared and gave his address. He said Mosul was a triumph against terrorism, darkness, and brutality, and marked the collapse of IS’s state. The next challenge was stabilization and rebuilding. 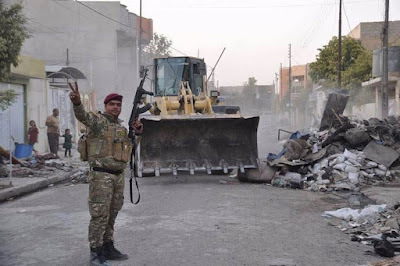 Before that can happen the Iraqi forces (ISF) still need to mop up the Old City to make sure no insurgents are hiding out in buildings, tunnels or amongst the displaced. The U.S. led Coalition called this the heaviest urban combat since the Battle of Stalingrad during World War II. Even though the war is not over the Iraqis have much to be proud of, and they have been partying in the streets for the last two days. 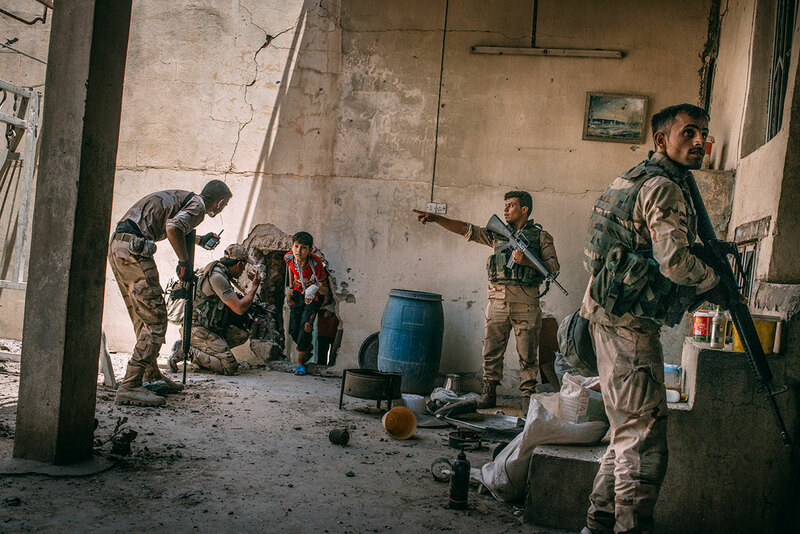 The battle of Mosul has reached its ninth month, but it is finally coming to an end. It has been one of the toughest urban battles since probably the fighting for cities in the former Yugoslavia in the 1990s. With the conflict winding down there is time to reflect and analyze how the campaign went down. To help do that is David M. Witty. He is a retired U.S. Special Forces Colonel. He served in the first Gulf War as an adviser to the Kuwaiti forces. He then took part in Operation Iraqi Freedom being an adviser to the Iraqi Counter-Terrorism Service (CTS), today known by the popular name the Golden Division, from 2007-2008 and 2013-2014. He can be followed on Twitter @DavidMWitty1. The news of the day was whether Mosul was finally liberated or not. The Joint Operations Command got things underway by saying that the city was free, but then added that there were small pockets of resistance. That last caveat was missed by most leading the command to issue a clarification that there were still a few meters of the city under Islamic State control. It then added that a victory announcement was imminent and that fighting would be over in a few hours. Units of the Iraqi forces (ISF) were seen celebrating in the streets. In fact, at the start of the day there were still three contested neighborhoods, Maidan, Qalahat and Shahwan that were under attack by the Golden Division and the army’s 9th Division. By nighttime the Islamic State was reduced to small pockets, but were holding a number of civilian captives. It was predicted that by July 9 those would be wrapped up. Prime Minister Haidar Abadi already flew into the Qayara base northeast of Mosul, and was expected to give a victory speech. The campaign took nine long months. It witnessed some of the toughest urban fighting seen in years. While the war against the Islamic State is far from over, this will be a huge symbolic and political victory for the Iraqi government. Three years ago, IS declared its caliphate in Mosul, and now the Iraqi forces are standing over the rubble of its state. There were 3,320 reported deaths and 1,135 wounded in Iraq in June 2017. Almost all of those casualties occurred in Ninewa because of the Mosul battle. Violence in the rest of the country remains at an all-time low. The Islamic State is now down to three neighborhoods in the Old City of West Mosul. July 6, they held Bab al-Tob in the south, Qurnish, Shahwan, Maidan, and Najafi Street along the Tigris River. The Iraqi forces (IFS) announced Maidan and Najafi Street were seized. 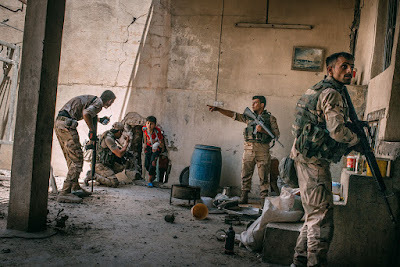 The insurgents were still desperately fighting, and launched a counter attack with 50-100 fighters into Bab al-Lakash, which was recently freed, Bab al-Tob, and Maidan, throwing the ISF back on their heels in some of those areas. Still the end is in sight, and Iraqi commanders continue to try to claim they are nearly done. Federal Police commander General Raed Shakir Jawadat said his forces were 99% finished with their combat missions, which contradicted his own statement on July 3 that they had completed their tasks already. The Golden Division was more circumspect simply stating that things were winding down. Yesterday there were a few reports that Mosul had been completely freed, and Prime Minister Haidar Abadi already congratulated the ISF on their victory in the city. This is the norm for Iraqi propaganda that is obsessed with claiming real and imagined advances. The Iraqi forces (ISF) were cleaning up the south in the Old City as well as pushing to the Tigris River in west Mosul. Bab al-Tob, one of the southern entrances to the area was declared freed for the second time. The Federal police took Sargkhana Street, Tawalib, Bab al-Saray again, and Katunya for the third time. Maidan, one neighborhood away from the Tigris, Nujafi, and Shahwan, which is on the Tigris were under siege as well. Federal Police chief General Raed Shakir Jawadat claimed only four neighborhoods were left under Islamic State control, Nujafi, Bab al-Saray, Bab al-Lakash, and Bab al-Jadid. Interestingly, all of those except Nujafi have been cleared before, and he did not include other areas which were still contested.